. Low Sloped Residential Roof Houston | Anchor Roofing, Inc. Roof pitch affects many different factors of the entire structure, not just the building, and that is the reason most roofing contractors pay considerable attention to it. If you want to install correctly a low slope roofing system on your Houston home it is crucial for you to understand the low slope roofing definition. Roof pitch will determine which roofing material will you use, walkability of the roofing system, how much area of the roof needs to be covered and often the architectural design of your home. There are many of low slope pitch roofing choices available, and that is why it is important to think about which roofing system would be best for your residence before the roofing project starts and not when the contractor already arrives to install a new roofing system. Low slope roofing systems are often connected with residential roofing solutions and when people hear „low slope roof“ they usually think of flat roofing systems. That may be true in most of the cases, even though some houses that prefer modern designs with flat roofing solutions utilize the low slope roofing systems. And when we say „modern“ we don’t think that residential buildings with flat roofs are invented recently. Flat roofing systems for residential building go way back to ancient Egypt and Persia. Just remember the Hanging Gardens of Babylon. Today, people often use low slope roofing systems on their homes for a transition between steep primary roofing system and small slope garage roof or in some cases porch roof. It is true that steeper roofing systems have longer lifespans, but they also require stronger roofing support structure and more material. Depending on the roofing material being used, of course. Another place where you can find a low slope roofing system is usually apartment complexes, motels, and structures like that. When you drive on the highway, you can often see motels by the side of the road. What kind of roofing systems they usually have? That’s right; they have a low slope or flat roofing systems. It is much easier and budget friendly to install a low slope roofing systems if you are a motel or apartment complex owner. Usually, those buildings go in length, and it is reasonable to decide to go with a low slope roofing system when choosing a new roof. Often this kind of roofing system has three main components. Low slope roofing systems have a waterproofing layer, and this is probably he most vital part. This membrane helps to keep your home dry and leak-free without the need for repairs. Another component is surfacing which offers protection from harmful UV rays and other outside weather elements. Surfacing can often additionally benefit your roofing system by making it hail resistant, fire resistant and it can increase your roof’s solar reflectivity. The last factor is roof reinforcement which helps your low slope roof to overcome various problems by reinforcement. This adds strength, increases the membranes dimensional stability and makes the roofing system more resistant to high winds, snow, and hail. More durable roofing system means the lower chance for roof replacement. 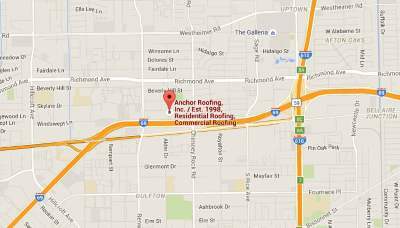 For any additional information about low-slopped roofing systems, you can contact us at Anchor Roofing Inc. for additional information.